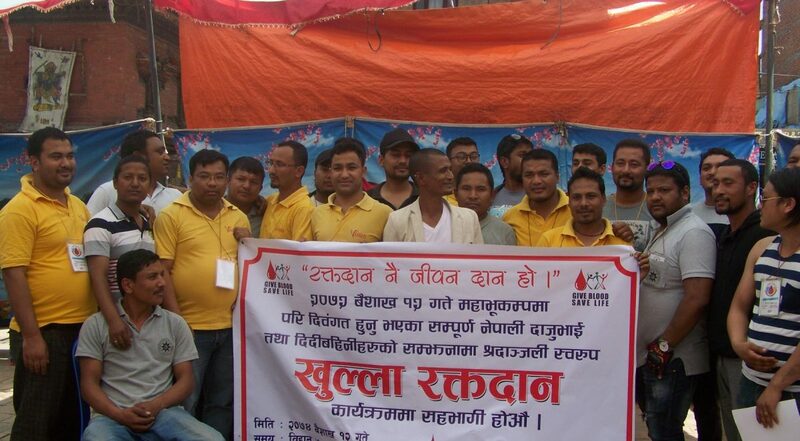 On the 2nd anniversary of the 2015 earthquake (Baisakh 12th / April 25th), Nagarhope in co-ordination with Red Cross Bhaktapur, WE CAN group and Vision Group, Bhaktapur, ran its 2nd Annual Blood Donation Programme in Bhaktapur. 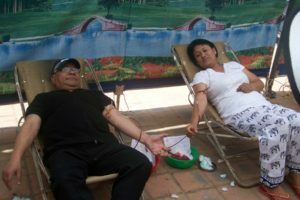 This year, a total of 164 people donated blood between 7am and 12pm, an amazing amount and a good increase on last year’s 124. A massive thanks to Rabindra Suwal, Nagarhope Nepal Chairperson for his organisation and leadership, without whom, the day could not have gone as successfully. Nice to see this become an annual event.